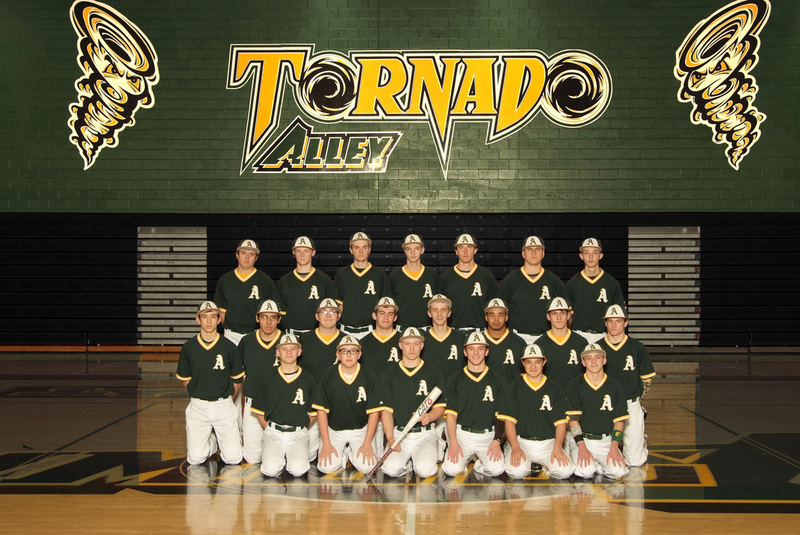 Welcome to the official site of Tornadoes Baseball! 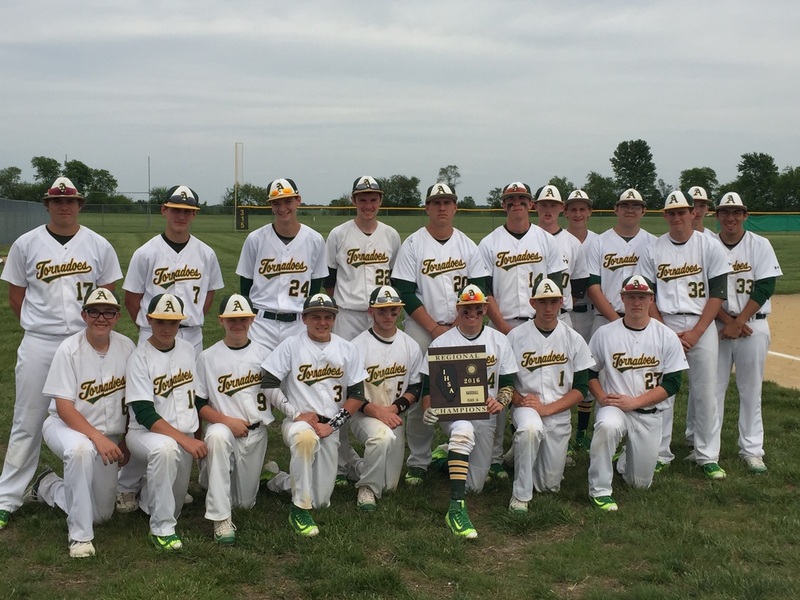 The Tornadoes will play in the Lewistown Sectional Semifinal game on Wednesday, May 25th at 4:30pm against Winchester/West Central. The game will be covered by AM 1330 & FM 94.1 WRAM out of Monmouth, IL. You can also stream online at www.1330wram.com. Brett Fordyce went 2-4, helping the Tornadoes to a 5-2 victory over Brown County on Saturday at Mt. Sterling, IL. He singled in the third inning and doubled in the fourth inning. Kaine Sundquist shut down Brown County while he was on the mound. Sundquist held Brown County hitless over two innings, allowed no earned runs, walked none and struck out three. Nolan Struhs got the win for the Tornadoes. He allowed two runs over five innings. He struck out eight, walked two and surrendered five hits. Sussenbach was the game's losing pitcher. He lasted just five innings, walked seven, struck out three, and allowed four runs. Brown County jumped out to an early 1-0 lead in the top of the second. A double by Sussenbach, bringing home Drake started the inning off. The Tornadoes stayed on top until the final out after taking the lead in the fourth, scoring three runs on a two-run double by Fordyce. One run in the top of the fifth helped Brown County close its deficit to 4-2. An error gave Brown County life. Fry flew out to end the Brown County threat. "Powered by Narrative Science and GameChanger Media. Copyright 2016. All rights reserved." The Tornadoes beat Augusta Southeastern 11-0 in five innings on Wednesday at Mt. Sterling, IL after a seven-run explosion in the second inning. The Tornadoes scored in the second on an RBI single by Brett Fordyce, a two-run triple by Shane Coleman, a groundout by Nolan Struhs, a walk by Tyler Dugan, and a two-run double by Ben Stipp. Coleman racked up three RBIs on three hits for the Tornadoes. Kaine Sundquist had an impressive outing against Augusta Southeastern 's lineup. Augusta Southeastern managed just one hit off of Sundquist, who allowed no earned runs, walked none and struck out 10 during his five innings of work. Rice ended up on the wrong side of the pitching decision, charged with the loss. He allowed nine runs in 1 2/3 innings, walked three and struck out one. The Tornadoes didn't relinquish the lead after scoring three runs in the first inning when they scored on two singles and an RBI triple by Heath Milan. We would like to take the time to thank our sponsors for all of their support this season! They each took part in our Fence Banner Sponsorship Program and purchased a fence banner to be displayed at all home contests during the spring and summer seasons. Click to find out what our Fence Banner Sponsorship Program is all about! Questions or comment? Send them our way!